The Well’s Residency program is a ten-month, seminary level learning experience aimed at growing emerging leaders toward a better understanding of Bible, theology, leadership, character development, and servanthood. Like a medical residency program, we seek to immerse our residents with a solid foundation in the Scriptures, preparing them for a lifetime of service to our Lord. Since inception in 2004, we’ve graduated about 120 students, comprised of a good mix of men and women, including numerous married couples who experienced the program together. The majority of our residents are local to Fresno, but some have relocated from out of state in order to be a part of this incredible experience. Some of our students have full-time ministry aspirations, while others simply desire to bolster their knowledge and skill in whatever church ministry area God calls them. We are changing Residency this year to be an even more intense hands-on introduction into ministry. The target resident would be someone who has ministry aspirations and is ready to take those aspirations to the next level by making Residency their primary focus for 10 months. Want more info? CLICK HERE. The Academy is designed for those who desire to deepen their knowledge of the Bible and theology, as well as prepare themselves personally for various ministries, in and out of the church. Over the course of three years, as a student going through the Academy, you will read all the books of the Bible and will see how each chapter fits together in the flow of each book. You will see how the whole Bible is woven together by God for our instruction and learn how to interpret the Bible with skill. You will see the major theological truths unfolded in the Bible and learn how to answer people when asked some of the harder questions about Christianity and the Bible. The goal is to grow in your relationship with Jesus Christ and in your understanding of Him in a profoundly personal way. Want more info? CLICK HERE. The Urban Leadership Training program equips participants to intentionally engage their community by providing a Christ-centered biblical and theological framework, leadership skills, and knowledge of urban issues; the goal is for participants to become a catalyst for missions and serve as bridge builders between their Well campus and surrounding neighborhood. This is a 9-month commitment in which participants must dedicate 10 to 12 hours a week for service, meetings and homework. Participants will serve at least 4 hours a week in a Target Neighborhood community (Susan B., Easterby, or Powers-Gingsburg). Participants will attend a weekly, Wednesday night meeting – a time devoted to building community and to intentional development involving speakers, readings, and/or trips, etc. In preparation for the weekly meetings, participants must do the required reading. Participants must also meet monthly with the Urban Leadership Training Director. Want more info? CLICK HERE. Feeling like the Lord might be leading you into vocational ministry? Not sure what that might look like, or what arena He might want you to serve in? 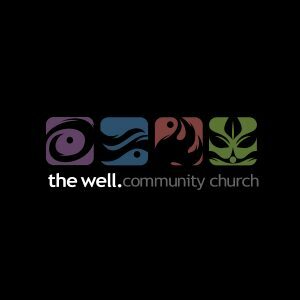 The Well’s internship could be a great help! The Well’s Internship Program exists to provide you with exposure into the inner workings of The Well, to provide teaching on the philosophy behind what we do, and to help you realize your place in ministry. The hope is to give our interns a 30,000-foot view of the church, as well as hands-on opportunities in many of the ministries. It is possible to experience the Internship and come to the realization that full-time ministry is not for you. For us, that is exciting because you are gaining more clarity on the future God has for you and what particular design you posses to fulfill your purpose in life. If you have the desire and time to continue on after the Internship, you can apply to become part of The Well’s volunteer staff in a specific area of ministry. Want more info? CLICK HERE. In addition, several other outreach ministries have launched through the help of ENP, such as Neighborhood Thrift & Off The Front. If you’ve got a heart for the city, the broken down and unreached- ENP presents an incredible opportunity to come invest your life and make an eternal difference in the lives of others! Want more info? CLICK HERE. Got a heart to take the Gospel to the world? or maybe starting right here in the city? Let The Well train, equip, and send you to do just that. Whether it’s short-term exposure or a long term investment, our goal is to help mobilize Christians to fulfill the Great Commission in whatever context the Lord is calling them. We have tons of opportunities to help train and equip locally or globally. Want more info? CLICK HERE. Right now The Well has 3 multi-site campuses all throughout Fresno (with a 4th, regional one on the horizon). These campuses allow us to be one church in multiple locations. Among the many benefits that come from this model, probably the most important is that we’re able to keep the local church, “local”… By that, I mean folks don’t have to commute 45 minutes just to gather together as a body. This also allows us to strategically invest in specific neighborhoods and communities across Fresno. With that in mind, there are dozens of ways in which you can lock on with one of our campuses and be equipped to missionally engage a particular community. For more information on any of our campuses, visit our WEBSITE. ~ by Shea Sumlin on March 22, 2010.